Tickets are no longer available. Friday and Saturday are SOLD OUT! 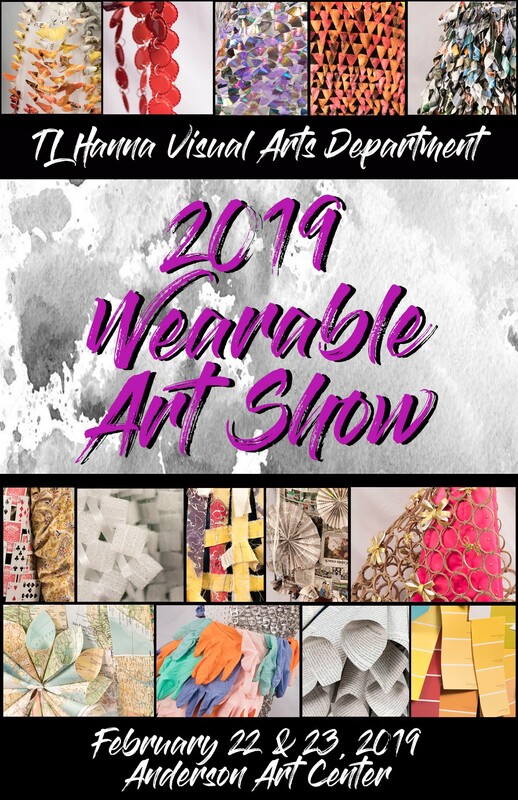 2nd Annual Wearable Art Exhibit featuring works created by students at TL Hanna. Hosted at the Anderson Arts Center, February 22nd and 23rd at 6:30 pm. Buy your tickets and Limited Edition Interactive Program below!